Why Choose Prohealth Commercial Pest Control? Because as a business owner, pests can disrupt your operations, hurt your reputation and affect your bottom line. You need an experienced and knowledgeable commercial pest control company that can get rid of your pests. We know what needs to be done and have a full range of commercial services and products to handle all your commercial pest control needs. 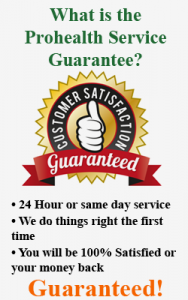 You can count on us to control your pests because if you’re not satisfied with our services, it is free. Prohealth Pest Control is so sure that we can control the pests for your commercial property or business, that we offer a 100% percent guarantee that you are satisfied. So whether your business needs termite control, rodent control, bug control or preventative pest control, we are able to handle your pest control needs safely. Since all our commercial pest control products are organic, you do not have to worry about chemical side effects to your employees, customers, or tenants. You can rest easy that your business is protected while not leaving a chemical footprint that can harm others. Call us today at 727-260-5531 for West Pasco / Pinellas or 813-261-8892 for East Pasco / Hillsborough to schedule your inspection. We will come out to give you’re a thorough, no-obligation inspection or your commercial property or business. Our highly trained and certified exterminators will then give you a customized commercial pest control program and quote that will safely protect your business from destructive and dangerous pests. Call us today to get started. With our guarantee, all you have to lose is your commercial pest problems.